AAMCO President and CEO Brett Ponton and COO Rob Rajkowski recently engaged in a substantive roundtable dialogue about how the iconic brand’s executive team is driving value to franchise owners in their stores. Since Brett and Rob joined the iconic auto repair franchise in 2013, AAMCO has simplified its proven business model, created additional revenue streams and made significant investments in its training platforms to attract a wider set of savvy entrepreneurs who want to carry on the grand American tradition of small business ownership. AAMCO’s executive team’s commitment to the brand’s franchise owners stems from the fact that several of them were franchisees themselves. Brett had been CEO of Heartland Automotive, the largest Jiffy Lube franchisee in North America, operating nearly 575 units, and Rob served there as COO. Brett and Rob are veterans of the automotive industry, with decades of years of senior management experience under their belts. As a result of their experience, AAMCO has been reinvigorated as a franchisor whose sole concern is the success of its franchise owners. 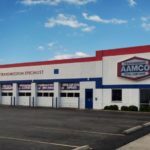 While AAMCO remains the global leader in transmission repair, the auto repair franchise is charting a path to becoming the dominant brand for Total Car Care. To help AAMCO franchise owners get a bigger slice of the general automotive repair market, which generates $62 billion a year in sales according to IBISWorld research, the brand launched its “Trust” campaign to expand the public’s perception of what AAMCO can offer to its growing base of customers. After all, if AAMCO is trusted to fix the most complicated part of a car, its technicians can surely change customers’ oil, fix their brakes and rotate their tires. The leadership team simplified the business model by creating Global Powertrain Systems a remanufacturing facility in Newnan, Georgia outside of Atlanta. 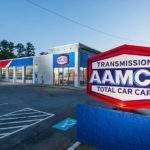 AAMCO franchise owners can now purchase high-quality remanufactured transmissions from the remanufacturing facility; the company can deliver a remanufactured transmission to more than 70% of its franchisees the day after the order is received. This gives AAMCO franchisees immediate access to a vertically integrated supply chain with preferred pricing, and it helps keep overhead costs low while AAMCO franchisees are focusing on increasing their profitability in the Total Car Care segment. “Total Car Care is becoming a key component of the business, that helps drive repeat customers and create lifetime value with the customers, and is absolutely critical in driving our growth,” Rob says. Brett adds that the root of AAMCO’s success in expanding the brand’s level of service to include Total Car Care is rooted in their hard-won reputation of customer trust and brand recognition. AAMCO made a significant investment in initial and ongoing training and education by establishing AAMCO University. 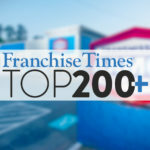 The state-of-the-art training facility in Newnan, Georgia, is a pathway to success for franchise owners and technicians alike. For AAMCO center owners, there is more than 250 hours of training, as well as more than 300 online courses focused on comprehensive business ownership principles and procedural applications. Each independent AAMCO franchisee is positioned to be a leader in their community and industry with an eye on establishing, developing and growing steady income and long-term business value for every location. For half a century, the AAMCO franchise brand has been a dynamic part of American car culture. With nearly 650 auto repair locations across the country, AAMCO is one of the original American franchise systems, and its brand is committed to innovation and trusted in the eyes of the American consumer. For Brett, collaboration with AAMCO franchise owners is of paramount importance to maintaining the success of the legacy brand. AAMCO is actively seeking single- and multi-unit operators who are passionate about the brand and committed to providing the highest-quality service. Interested candidates should have a minimum net worth of $250,000 and liquid assets of at least $65,000 per unit. Depending on the real estate site selected, franchisees can expect the total investment to be approximately $227,400-$333,000, with a $39,500 initial franchise fee. Reduced franchise fees are available for honorably discharged veterans. For in-depth details about the AAMCO franchise opportunity, download their free franchise report. You can also learn more by visiting their research pages.